Enrique B. Magalona, officially the Municipality of Enrique B. Magalona (also known as E.B. 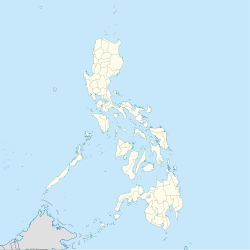 Magalona and formerly known as Saravia), is a 2nd class municipality in the province of Negros Occidental, Philippines. According to the 2015 census, it has a population of 62,921 people. The municipality is named after Enrique B. Magalona, former Senator of the Philippines and the grandfather of the late Filipino rap icon Francis Magalona. Enrique B. Magalona is politically subdivided into 23 barangays. This article about a location in Negros Island is a stub. You can help Wikipedia by expanding it. This page was last edited on 24 February 2019, at 09:20 (UTC).